Make the most of summer fruits with this classic strawberry jam recipe. 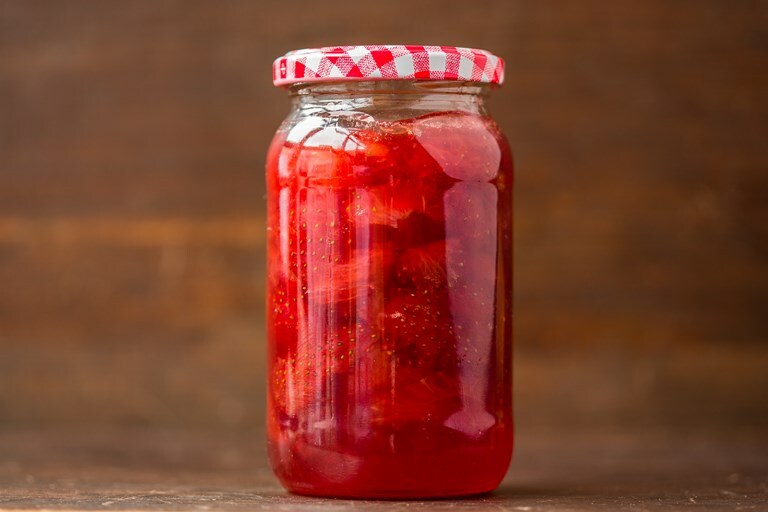 Using strawberries at the peak of their season is important for a great strawberry jam, to ensure you get the maximum sweetness and flavour out of the fruit. Brush up on how to sterilise jam jars before attempting this recipe. This recipe will provide a beautiful plain strawberry jam, but feel free to experiment by adding different flavours. I like to add vanilla seeds, pink peppercorns or fresh picked thyme leaves for something a bit different! This recipe makes 4–5 250ml jars.